In 1960 South Korea’s GDP per capita was at the level of the poorest of African and Asian nations. Four decades later, Korea ranked high in the G-20 major economies. Many factors including a US-assisted education system and a carefully-planned export-oriented economic strategy made this possible. By some accounts the influence of Peter Drucker also played a key role, as attested by the prominent Korean businessman who changed his first name to “Mr. Drucker.” Unlike General Motors in the US, South Korean businesses embraced Drucker’s concept of the self-governing organization. Drucker proposed this concept in The Future of Industrial Man and further developed it in his 1946 Concept of the Corporation, which GM’s CEO Alfred Sloan, despite Drucker’s general praise of GM, saw as a betrayal. Sloan would hear nothing flattened hierarchies and decentralization. In the 1960’s, Douglas McGregor of MIT used the term, Theory Y, to label the contrarian notion that democracy in the work force encourages workers to approach tasks without direct supervision, again leading to fuller engagement and higher productivity. Neither GM nor any other big US firm welcomed self-management for the rest of the 20th century. It’s ideals may have sounded overly socialistic to CEOs of the cold war era. A few consultancies promoted related concepts like shop-floor autonomy, skepticism of bureaucracy, and focus on intrinsic employee rewards in the 1980’s, e.g., Peters and Waterman’s In Search of Excellence. Later poor performance by firms celebrated in Excellence (e.g. Wang and NCR) may have further discredited concepts like worker autonomy. Recently, Daniel Pink’s popular Drive argued that self-management and worker autonomy lead to a sense of purpose and engagement, which motivate more than rank in a hierarchy and higher wages. Despite the cases made by these champions of flatter organizations, the approach that helped Korea become an economic power got few followers in the west. In 2014 Zappos adopted holacracy, an organizational structure promoted by Brian J. Robertson, which is often called a flat organization. Following a big increase in turnover rate at Zappos, many concluded that holacracy left workers confused and, with no ladder to climb, flatly unmotivated. Tony Hsieh, Zappos’s CEO, denies that holacracy was the cause. Hsieh implemented holacracy because in his view, self-managed structures promote innovation while hierarchies stifle it; large companies tend to stagnate. There’s a great deal of confusion about holacracy, and whether it in fact can accurately be called a flat structure. A closer look at holacracy helps clear this up. To begin, note that holacracy.org itself states that work “is more structured with Holacracy than [with] conventional management.” Holacracy does not advocate a flat structure or a simple democracy. Authority, instead of being delegated, is instead granted to roles, potentially ephemeral, which are tied to specific tasks. Much of the confusion around holacracy likely stems from Robertson’s articulation of its purpose and usage. His 2015 book, Holacracy: The New Management System for a Rapidly Changing World, is wordy and abstruse to the point of self-obfuscation. Its use of metaphors drawn from biology and natural processes suggest an envy for scientific status. There’s plenty of theory, with little evidential support. Robertson never mentions Drucker’s work on self-governance or his concept of management by objective. He never references Theory Y or John Case’s open-book management concept, Evan’s lattice structure, or any other relevant precedent for holacracy. Nor does he address any pre-existing argument against holacracy, e.g., Contingency Theory. But, a weak book doesn’t mean a weak concept. Holacracry.org’s statement of principles is crisp, and will surely appeal to anyone who has done time in the lower tiers of a corporate hierarchy. Its envisions a corporate republic, rather than a pure democracy. I.e., authority is distributed across teams, and decisions are made locally at the lowest level possible. More importantly, the governance is based on a constitution, through which holacracy aims to curb tyranny of the majority and factionalism, and to ensure that everyone is bound to the same rule set. Unfortunately, Holacracy’s constitution is bloated, arcane, and far too brittle to support the weight of a large corporation. Several times longer than the US constitution and laden with idiosyncratic usage of common terms, it reads like a California tax code authored by L Ron Hubbard. It also seems to be the work of a single author rather than a constitutional congress. But again, a weak implementation does not impugn the underlying principles. Further, we cannot blame the concept for its mischaracterization by an unmindful tech press as being a flat and structureless process. Holacracy is right about the perils of both flat structures (inability to allocate resources, solve disputes, and formation of factions) and the faults of silos (demotivation, principal-agent problem, and oppressive managers). But with a dense and rigid constitution and a purely inward focus (no attention to customers) it is a flawed version 1.0 product. It, or something like it – perhaps without the superfluous neologism – will be needed to handle imminent workforce changes. We are facing an engagement crisis, with 80% of the millennial workforce reporting a sense of disengagement and inability to exploit their skills at work. Millennials, says the Pew Research Center, resist paying dues, expect more autonomy while being comfortable in teams, resent taking orders, and expect to make an impact. With productivity tied to worker engagement, and millennial engagement hinging on autonomy, empowerment and trust, some of the silos need to come down. A constitutional system embodying self-governance seems like a good place to start. In college, fellow cave explorer Ron Simmons found that the harnesses made for rock climbing performed very poorly underground. The cave environment shredded the seams of the harnesses from which we hung hundreds of feet off the ground in the underworld of remote southern Mexico. The conflicting goals of minimizing equipment expenses and avoiding death from equipment failure awakened our innovative spirit. We wondered if we could build a better caving harness ourselves. Having access to UVA’s Instron testing machine Ron hand-stitched some webbing junctions to compare the tensile characteristics of nylon and polyester topstitching thread. His experiments showed too much variation from irregularities in his stitching, so he bought a Singer industrial sewing machine. At that time Ron had no idea how sew. But he mastered the machine and built fabulous caving harnesses. 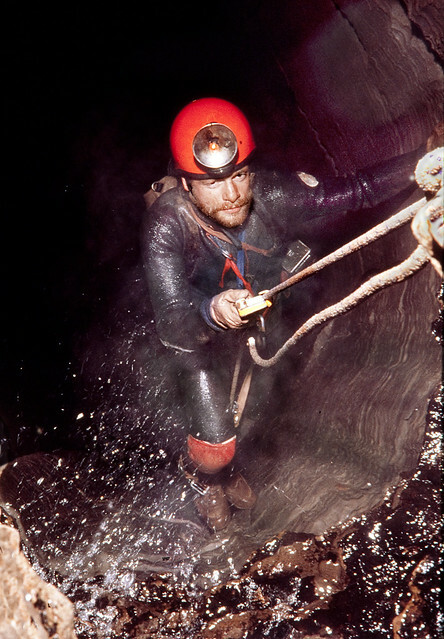 Ron later developed and manufactured hardware for ropework and specialized gear for cave diving. Curiosity about earth’s last great exploration frontier propelled our cross-disciplinary innovation. Curiosity, imagination and restlessness drive multidisciplinarity. Soon we all owned sewing machines, making not only harnesses but wetsuits and nylon clothing. We wrote mapping programs to reduce our survey data and invented loop-closure algorithms to optimally distribute errors across a 40-mile cave survey. We learned geomorphology to predict the locations of yet undiscovered caves. Ron was unhappy with the flimsy commercial photo strobe equipment we used underground so he learned metalworking and the electrical circuitry needed to develop the indestructible strobe equipment with which he shot the above photo of me. Fellow caver Bill Stone pushed multidisciplinarity further. 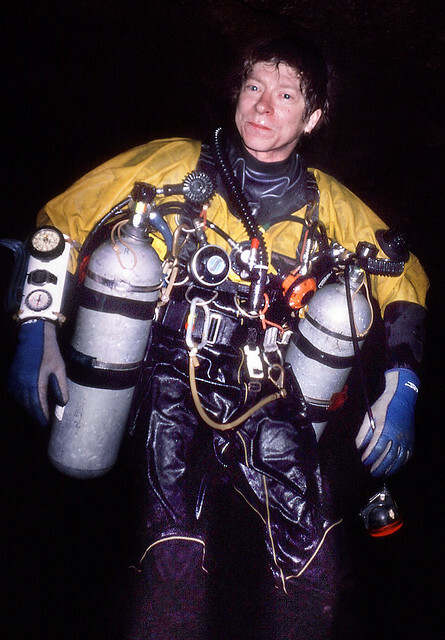 Unhappy with conventional scuba gear for underwater caving, Bill invented a multiple-redundant-processor, gas-scrubbing rebreather apparatus that allowed 12-hour dives on a tiny “pony tank” oxygen cylinder. This device evolved into the Cis-Lunar Primary Life Support System later praised by the Apollo 11 crew. Bill’s firm, Stone Aerospace, later developed autonomous underwater vehicles under NASA Astrobiology contracts, for which I conducted probabilistic risk analyses. If there is life beneath the ice of Jupiter’s moon Europa, we’ll need robots like this to find it. My years as a cave explorer and a decade as a systems engineer in aerospace left me comfortable crossing disciplinary boundaries. I enjoy testing the tools of one domain on the problems of another. The Multidisciplinarian is a hobby blog where I experiment with that approach. I’ve tried to use the perspective of History of Science on current issues in Technology (e.g.) and the tools of Science and Philosophy on Business Management and Politics (e.g.). Terms like interdisciplinary and multidisciplinary get a fair bit of press in tech circles. Their usage speaks to the realization that while intense specialization and deep expertize are essential for research, they are the wrong tools for product design, knowledge transfer, addressing customer needs, and everything else related to society’s consumption of the fruits of research and invention. These terms are generally shunned by academia for several reasons. One reason is the abuse of the terms in fringe social sciences of the 80s and 90s. Another is that the university system, since the time of Aristotle’s Lyceum, has consisted of silos in which specialists compete for top position. Academic status derives from research, and research usually means specialization. Academic turf protection and the research grant system also contribute. As Gina Kolata noted in a recent NY Times piece, the reward system of funding agencies discourages dialog between disciplines. Disappointing results in cancer research are often cited as an example of sectoral research silos impeding integrative problem solving. Beside the many examples of silo inefficiencies, we have a long history of breakthroughs made possible by individuals who mastered several skills and integrated them. Galileo, Gutenberg, Franklin and Watt were not mere polymaths. They were polymaths who did something more powerful than putting specialists together in a room. They put ideas together in a mind. On this view, specialization may be necessary to implement a solution but is insufficient for conceiving of that solution. Lockheed Martin does not design aircraft by putting aerodynamicists, propulsion experts, and stress analysts together in a think tank. It puts them together, along with countless other specialists, and a cadre of integrators, i.e., systems engineers, for whom excessive disciplinary specialization would be an obstacle. 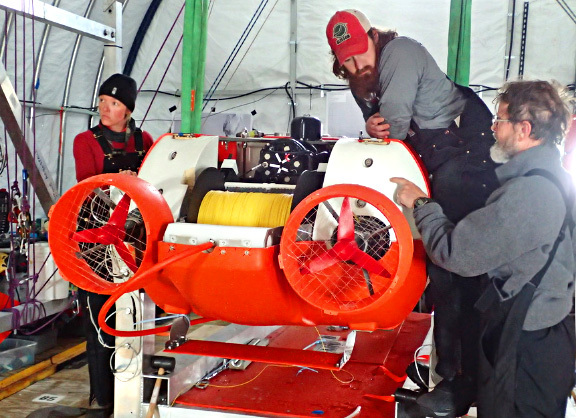 Bill Stone has deep knowledge in several sciences, but his ARTEMIS project, a prototype of a vehicle that could one day discover life beneath an ice-covered moon of Jupiter, succeeded because of his having learned to integrate and synthesize. A famous example from another field is the case of the derivation of the double-helix model of DNA by Watson and Crick. Their advantage in the field, mostly regarded as a weakness before their discovery, was their failure – unlike all their rivals – to specialize in a discipline. This lack of specialization allowed them to move conceptually between disciplines, fusing separate ideas from Avery, Chargaff and Wilkins, thereby scooping front runner Linus Pauling. Dev Patnaik, leader of Jump Associates, is a strong advocate of the conscious blending of different domains to discover opportunities that can’t be seen through a single lens. When I spoke with Dev at a recent innovation competition our conversation somehow drifted from refrigeration in Nairobi to Ludwig Wittgenstein. Realizing that, we shared a good laugh. Dev expresses pride for having hired MBA-sculptors, psychologist-filmmakers and the like. In a Fast Company piece, Dev suggested that beyond multidisciplinary teams, we need multidisciplinary people. The silos that stifle innovation come in many forms, including company departments, academic disciplines, government agencies, and social institutions. The smarts needed to solve a problem are often at a great distance from the problem itself. Successful integration requires breaking down both institutional and epistemological barriers. I recently overheard professor Olaf Groth speaking to a group of MBA students at Hult International Business School. Discussing the Internet of Things, Olaf told the group, “remember – innovation doesn’t go up, it goes across.” I’m not sure what context he had in mind, but it’s a great point regardless. The statement applies equally well to cognitive divides, academic disciplinary boundaries, and corporate silos. Olaf’s statement reminded me of a very concrete example of a missed opportunity for cross-discipline, cross-division action at Gillette. Gillette acquired both Oral-B, the old-school toothbrush maker, and Braun, the electric appliance maker, in 1984. Gillette then acquired Duracell in 1996. But five years later, Gillette had not found a way into the lucrative battery-powered electric toothbrush market – despite having all the relevant technologies in house, but in different silos. They finally released the CrossAction (ironic name) brush in 2002; but it was inferior to well-established Colgate and P&G products. Innovation initiatives at Gillette were stymied by the usual suspects – principal-agent, misuse of financial tools in evaluating new product lines, misuse of platform-based planning, and holding new products to the same metrics as established ones. All that plus the fact that the divisions weren’t encouraged to look across. The three units were adjacent in a list of divisions and product lines in Gillette’s Strategic Report. Multidisciplinarity (or interdisciplinarity, if you prefer) clearly requires more than a simple combination of academic knowledge and professional skills. Innovation and solving new problems require integrating and synthesizing different repositories of knowledge to frame problems in a real-world context rather than through the lens of a single discipline. This shouldn’t be so hard. After all, we entered the world free of disciplinary boundaries, and we know that fervent curiosity can dissolve them. The distinction between leaders and managers has been worn to the bone in popular press, though with little agreement on what leadership is and whether leaders can be managers or vice versa. Further, a cult of leadership seems to exalt the most sadistic behaviors of charismatic leaders with no attention on key characteristics ascribed to leaders in most leader-manager dichotomies. Despite imprecision and ambiguity, a coarse distinction between leadership and management sheds powerful light on the needs of startups, as well as giving some advice and cautions about the composition of founder teams in startups. The cult of leadership often also paints some leaders as dictatorial, authoritative and inflexible, seeing these characteristics as an acceptable price for innovative vision. Likewise, the startup culture often views management as being wholly irrelevant to startups. Warren Bennis, in Learning to Lead, gives neither concept priority, but holds that they are profoundly different. For Bennis, managers do things right and leaders do the right thing. Peter Drucker, from 1946 on, saw leadership mostly as another attribute of good management but acknowledged a difference. He characterized good managers as leaders and bad managers as functionaries. Drucker saw a common problem in large corporations; they’re over-managed and under-led. He defined leader simply as someone with followers. He thought trust was the only means by which people chose to follow a leader. Accepting that the above distinctions are useful for discussion, it’s arguable that in early-stage startups leadership would trump management, simply because at that stage startups require innovation and risk tolerance to get off the ground. Any schedules or bottom-line considerations in the early days of a startup rely only on rough approximations. That said, for startups targeting more serious industry sectors – financial and healthcare, for example – the domain knowledge and organizational maturity of experienced managers could be paramount. Over the past 15 years I’ve watched a handful of startups face the challenges and benefits of functional, experience, and cognitive diversity. Some of this was firsthand – once as a board director, once on an advisory board, and twice as an owner. I also have close friends with direct experience in founding teams composed partly of tech innovators and partly of early-retired managers from large firms. My thoughts below flow from observing these startups. Failure is an option. Perfect is a verb. Silicon Valley’s “fail early, fail often” mantra is misunderstood and misused. For some it is an excuse for recklessness with investors’ money. Others chant the mantra with bad counter-inductive logic; i.e., believing that exhausting all routes to failure will necessarily result in success. Despite the hype, the fail-early perspective has value that experienced managers often miss. A look at the experience profile of corporate managers shows why. Managers are used to having things go according to plan. That doesn’t happen in startups. Managers in startups are vulnerable to committing to an initial plan. The leader/manager distinction has some power here. You cannot manage an army into battle; you can only lead one. Yes, startups are in battle. For a manager, planning, scheduling, estimating and budgeting traditionally involve a great deal of historical data with low variability. This is more true in the design/manufacture world than for managers who oversee product development (see Donald Reinertsen’s works for more on this distinction). But startups are much more like product development or R&D than they are like manufacturing. In manufacturing, spreadsheets and projections tend to be mostly right. In startups they are today’s best guess, which must be continually revised. Discovery-driven planning, as promoted by MacMillan and McGrath, might be a good starting point. If “fail early” rubs you the wrong way, understand it to mean disproving erroneous assumptions early, before you cast them in stone, only to have the market point them out to you. Managers, having joined a startup, may tend to treat wild guesses, once entered into a spreadsheet, as facts, or may be overly confident in predictions derived from them. This is particularly critical for startups with complex enterprise products – just the kind of startup where corporate experience is most likely to be attractive. Such startups are prone to high costs and long development cycles. The financing Valley of Death claims many victims who budget against an optimistic release schedule and revenue forecast. It’s a reckless move with few possible escape routes, often resulting in desperate attempts to create a veneer of success on which to base another seed round. In startups, planning must be more about prioritizing than about scheduling. Startups must treat development plans as a hypotheses to be continually refined. As various generals have said, essential as battle plans are, none has ever survived contact with the enemy. The Lean Startup’s build-measure-learn concept – which is just an abbreviated statement of the hypothetico-deductive interpretation of scientific method – is a good guide; but one that may require a mindset shift for most managers. For Philip Crosby, Zero Defects was not a motivational program. It was to be taken literally. It meant everyone should do things right the first time. That mindset, better embodied in William Deming’s statistical process control methodology, is great for manufacturing, as is obvious from results of his work with Japanese industries in the 1950s. Whether that mindset was useful to white collar workers in America, in the form of the Deming System and later Six Sigma, (e.g., Motorola, GE, and Ford) is hotly debated. Qualpro, which authored a competing quality program, reported a while back that 91% of large firms with Six Sigma programs have trailed the S&P 500 after implementing them. Some say the program was effective for its initial purpose, but doesn’t scale to today’s needs. Whatever its efficacy, most experienced managers have been schooled in Zero Defects or something similar. Its focus on process excellence emphasizing precision, consistency, and detailed analysis seems at odds with the innovation, adaptability, and accommodation of failure we see in successful startups. Focus on doing it right the first time in a startup will lead to excessively detailed plans containing unreliable estimates and a tendency toward unwarranted confidence in those estimates. Corporate managers are used to having clearly defined goals and plenty of resources. Startups have neither. This impacts team dynamics. Successful startup members, biographers tell us, are self-motivated. They share a vision and are closely aligned; their personal goals match the startup’s goals. In most corporations, managers control, direct, and supervise employees whose interests are not closely aligned with those of the corporation. Corporate motivational tools, applied to startups, reek of insincerity and demotivate teams. Uncritical enthusiasm is dangerous in a startup, especially for the enthusiasts. It can blind crusaders to fatal flaws in a product, business model, marketing plan or strategy. Aspirational faith is essential, but hope is not a strategy. An ex-manager in a CEO leadership role might also unduly don the cloak of management by viewing a small startup team of investing founders as employees. It leads to factions, resentment, and distraction from the shared objective. Startup teamwork requires clear communications and transparency. Clinkle’s Lucas Duplan notwithstanding, I think former corporate managers are far more likely to try to filter and control communications in a startup than those without that experience. Managing communications and information flow maintains order in a corporation; it creates distrust in a startup. Leading requires followers who trust you, says Drucker. High degrees of autonomy and responsibility in startups invariably lead to disagreements. Some organizational psychologists say conflict is a tool. While that may be pushing it, most would agree that conflict is an indication of an opportunity to work swiftly toward a more common understanding of problem definition and solutions. In the traditional manager/leader distinction, leaders put conflict front and center, seeing it as a valuable indicator of an unmet organizational need. Managers, using a corporate approach, may try to take care of things behind the scene or one-on-one, thereby preventing loss of productivity in those least engaged in the conflict. Neutralizing dissenting voices in the name of alignment likely suppresses exactly the conversation that needs to occur. Make conflict constructive rather than suppressing it. I’m wary of ascribing wisdom to hoodie-wearing Ferrari drivers, nevertheless I’ve cringed to see mature businessmen make strategic blunders that no hipster CEO would make. This says nothing about intellect or maturity, but much about experience and skills acquired through immersion in startupland. I’ll give a few examples. Believing that seed funding increases your chance of an A round: Most young leaders of startups know that while the amount of seed funding has steadily and dramatically in recent years, the number of A rounds has not. By some measures it has decreased. Accepting VC money in a seed round: This is a risky move with almost no upside. It broadcasts a message of lukewarm interest by a high-profile investor. When it’s time for an A round, every other potential investor will be asking why the VC who gave you seed money has not invested further. Even if the VC who supplied seed funding entertains an A round, this will likely result in a lower valuation than would result from a competitive process. Looking like a manager, not a leader: Especially when seeking funding, touting your Six Sigma or process improvement training, a focus on organizational design, or your supervisory skills will raise a big red flag. Overspending too early: Managers are used to having resources. They often spend too early and give away too much equity for minor early contributions. Lack of focus/no target customer: Thinking you can be all things to all customers in all markets if you just add more features and relationships is a mistake few hackers would make. Again, former executives are used to having resources and living in a world where cost overruns aren’t fatal. “Selling” to investors: VCs are highly skilled at detecting hype. Good ones bet more on the jockey than the horse. You want them as a partner, not a customer; so don’t treat them like one. The story is true, not just an exercise in thinking out of the box. In our first meeting my friend issued this challenge, adding that only one person in his seminars had ever gotten the answer. I did what most people probably do; I entertained some possible but unlikely scenarios that could lead to that outcome. But no, he didn’t impregnate two different women within a few weeks of each other, who then coincidentally gave birth at the same time. Nor was he a sperm donor. Nor is he using the “father” term loosely in a case where his wife had been implanted with fertilized eggs from two different pairs of parents. I pondered it for bit, and then felt a tinge of disappointment when it hit me. “Do you have triplets?”, I asked. He smiled and nodded. The incident left me wondering about some other creativity trainers I’ve known. It also got me thinking about the twentieth-century philosophers I praised in my last post. In the early 1900s, young Ludwig Wittgenstein realized that most philosophical problems – certainly those dealing with ideals and universals – simply stem from misunderstandings of the logic of language. Wittgenstein worked in the cold, hard, realm of logic we call analytic philosophy. Coincidentally, those fuzzy-thinking French at the far extremes of philosophy during the same era also concluded, through a radically different method, that language is definitely not a transparent medium of thought. Michel Foucault and Jacques Derrida, for all their incoherent output, actually do, in my view, defend this position convincingly. Richard Rorty, in his 1967 introductory essay to The Linguistic Turn, brilliantly compares the similar conclusions reached at the same time by these two disjoined schools of thought. As we talked about using the triplets puzzle in creativity seminars I wondered if those who solved it might be more gifted in linguistics – or perhaps philosophy of language – than in creative thought. Creativity certainly had little to do with my drilling into the language of the puzzle only after plodding through the paternal possibilities. I was channeling Jacques Derrida, not being creative. It is only a quirk of language that we don’t think that two triplets are also twins. In fact, I seem to recall that they often are – literally. That is, triplets often comprise a pair of monozygotic twins plus a fraternal sibling. So even by use of standard language, two of his triplets might be twins. The idea of confusing creative problem solving with creative use of – or analysis of – language reminds me of another scenario that often puzzled me. Tony Buzan, the mind-mapping creativity guru, starts one of his courses off by challenging students to, in a fixed time period, record as many uses of a paper clip as possible. Presumably, creative folk find more than the rest of us. He then issues a 2nd challenge: how many things can you not do with a paper clip? Most people find more non-uses than uses. Tony jokingly suggests that we’re negative thinkers because we produce longer lists for the latter. He then collects examples of non-uses for paper clips from the class, including that you can’t eat them or use them for transportation. Challenging that group to assert whether they’re sure there’s no possible way to eat a paper clip, someone eventually offers that if the paper clip is ferrous, you could grind it up and eat it as a supplement. Inevitably, a more creative student then realizes that Tony didn’t specify the material from which the paper clip was made. It could be made of dried wheat, and then, of course, you could eat it. Once again, for me at least, the challenge now focuses on language more than creativity. Is it creative to call a paper-clip-shaped piece of spaghetti a paper clip? Or is it just undisciplined? Or both? I doubt that most audiences would have trouble coming up with culinary solutions when quizzed about what sort of things they could do with a paper-clip-shaped piece of pasta. So I suspect the difference between those who went down the route of non-metal (or non-plastic) paper clips and those who did not may stem from experience and situation more than from innate or learned creative abilities. And, by the way, I can easily drive a paper clip if it has wheels, an engine, and comes from Bugatti, not Buitoni. Cream-colored, or bolognese-red? Once you become attuned to paradoxes that dissolve under a linguistic lens, you find them everywhere. Even in modern philosophy, a place you might expect practitioners to be vigilant. Experimental philosopher Joshua Knobe comes to mind. He’s famous for the Knobe Effect, as seen in the following story. The CEO of a company is sitting in his office when his Vice President of R&D comes in and says, “We are thinking of starting a new program. It will help us increase profits, but it will also harm the environment.” The CEO responds that he doesn’t care about harming the environment and just wants to make as much profit as possible. The program is carried out, profits are made and the environment is harmed. Knobe then asks whether, in the second story, the CEO intentionally helped the environment. Only 23% of people think so. Some see the asymmetry in responses as a direct challenge to the notion of a one-way flow of judgment from the factual (non-moral) domain to the moral. Spooky and fascinating as that prospect is, I don’t think the Knobe Effect is evidence of it. It’s a language game, Josh – as Wittgenstein would say. 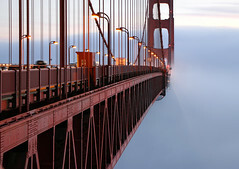 The asymmetry stems not from different bridges (for “harm” and “help”) from fact to moral judgment, but from the semantic asymmetry between “intentionally harm” and “intentionally help.” In context, “intentionally harm” is not simply the negation of “intentionally help.” “Intentional” means different things when applied to help and harm. In popular usage “intentionally harm” is understood by most people to mean awareness that your action will cause harm, as its primary purpose or as a secondary consequence. However, “intentional help” is understood by most people to mean your primary purpose was to help, and not that helpfulness could be a mere byproduct. As WVO Quine made clear, meaning does not stem from words – it stems from sentences, at minimum. No word’s meaning is independent of its context. Quine discusses such concepts at length in Pursuit of Truth (1990) and “Ontological Relativity” (1967). I get a real kick out of Tony Buzan. I’m well aware that most of his claims about the brain are pure quackery. What percentage of your brain do you use…? His mind-map claims (ultimate revolutionary mind power tool) are a bit out to lunch too. But he’s charming; and I know many people who thrive on mind maps and do great things with them (“if that works for you, great…”). Kudos to him for putting the ancient Greek and Roman mnemonists on a pedestal, and for stressing the link between memory training and creativity. More importantly, anyone who champions games, daydreaming, not acting your age, while pushing rigorous memory training gets my highest praise. Oh, and he designs his own clothes. I thought hard; and I finally I envisaged one thing a paper clip can never be. A paper clip can absolutely never be a non-paper-clip. But can it be a set of non-paper-clips? Or a set of all sets not containing non-paper-clips? Can you picture it? Those who conceptualize products – particularly software – often have the unpleasant task of explaining their conceptual gems to unimaginative, sanctimonious engineers entrenched in the analytic mire of in-the-box thinking. This communication directs the engineers to do some plumbing and flip a few switches that get the concept to its intended audience or market… Or, at least, this is how many engineers think they are viewed by designers. Truth is, engineers and creative designers really don’t speak the same language. This is more than just a joke. Many posts here involve philosopher of science, Thomas Kuhn. Kuhn’s idea of incommensurability between scientific paradigms also fits the design-engineering gap well. Those who claim the label, designers, believe design to be a highly creative, open-ended process with no right answer. Many engineers, conversely, understand design – at least within their discipline – to mean a systematic selection of components progressively integrated into an overall system, guided by business constraints and the laws of nature and reason. Disagreement on the meaning of design is just the start of the conflict. Kuhn concluded that the lexicon of a discipline constrains the problem space and conceptual universe of that discipline. I.e., there is no fundamental theory of meaning that applies across paradigms. The meaning of expressions inside a paradigm comply only with the rules of that paradigm. Says Kuhn, “Conceptually, the world is our representation of our niche, the residence of the particular human community with whose members we are currently interacting” (The Road Since Structure, 1993, p. 103). 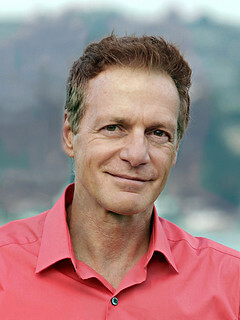 Kuhn was criticized for exaggerating the extent to which a community’s vocabulary and word usage constrains the thoughts they are able to think. Kuhn saw this condition as self-perpetuating, since the discipline’s constrained thoughts then eliminate any need for expansion of its lexicon. Kuhn may have overplayed his hand on incommensurability, but you wouldn’t know it from some software-project kickoff meetings I’ve attended. This short sketch, The Expert, written and directed by Lauris Beinerts, portrays design-engineering incommensurability from the perspective of the sole engineer in a preliminary design meeting. Last year, innovation guru Julian Loren introduced me to Kim Chandler McDonald, who was researching innovators and how they think. Julian co-founded the Innovation Management Institute,and has helped many Fortune 500 firms with key innovation initiatives. I’ve had the privilege of working with Julian on large game conferences (gameferences) that prove just how quickly collaborators can dissolve communication barriers and bridge disciplines. Out of this flows proof that design synthesis, when properly facilitated, can emerge in days, not years. Kim is founder/editor of the “Capital I” Innovation Interview Series. She has built a far-reaching network of global thought leaders that she studies, documents, encourages and co-innovates with. I was honored to be interviewed for her 2013 book, !nnovation – how innovators think, act, and change our world. Find it on Amazon, or the online enhanced edition at innovationinterviews.com (also flatworld.me) to see what makes innovators like Kim, Julian and a host of others tick. In light of my recent posts on great innovators in history, reinvigorated by Bruce Vojac’s vibrant series on the same topic, Kim has approved my posting an excerpt of her conversations with me here. Well that term is a bit overloaded these days. I think traditionally Innovation meant the creation of better or more effective products, services, processes, & ideas. While that’s something bigger than just normal product refinement, I think it pertained more to improvement of an item in a category rather than invention of a new category. More recently, the term seems to indicate new categories and radical breakthroughs and inventions. It’s probably not very productive to get too hung up on differentiating innovation and invention. Also, many people, perhaps following Clayton Christensen, have come to equate innovation with market disruption, where the radical change results in a product being suddenly available to a new segment because some innovator broke a price or user-skill barrier. Then suddenly, you’re meeting previously unmet customer needs, generating a flurry of consumption and press, which hopefully stimulates more innovation. That seems a perfectly good definition too. Neither of those definitions seem to capture the essence of the iPhone, the famous example of successful innovation, despite really being “merely” a collection of optimizations of prior art. So maybe we should expand the definitions to include things that improve quality of life very broadly or address some compelling need that we didn’t yet know we had – things that just have a gigantic “wow” factor. I think there’s also room for seeing innovation as a new way of thinking about something. That doesn’t get much press; but I think it’s a fascinating subject that interacts with the other definitions, particularly in the sense that there are sometimes rather unseen innovations behind the big visible ones. Some innovations are innovations by virtue of spurring a stream of secondary ones. This cascade can occur across product spaces and even across disciplines. We can look at Galileo, Kepler, Copernicus and Einstein as innovators. These weren’t the plodding, analytical types. All went far out on a limb, defying conventional wisdom, often with wonderful fusions of logic, empiricism and wild creativity. Finally, I think we have to include innovations in government, ethics and art. They occasionally do come along, and are important. Mankind went a long time without democracy, women’s rights or vanishing point perspective. Then some geniuses came along and broke with tradition – in a rational yet revolutionary way that only seemed self-evident after the fact. They fractured the existing model and shifted the paradigm. They innovated. How important do you envisage innovation going forward? Almost all businesses identify innovation as a priority, but despite the attention given to the topic, I think we’re still struggling to understand and manage it. I feel like the information age – communications speed and information volume – has profoundly changed competition in ways that we haven’t fully understood. I suppose every era is just like its predecessor in the sense that it perceives itself to be completely unlike its predecessors. That said, I think there’s ample evidence that a novel product with high demand, patented or not, gets you a much shorter time to milk the cow than it used to. Business, and hopefully our education system, is going to need to face the need for innovation (whether we continue with that term or not) much more directly and centrally, not as an add-on, strategy du jour, or department down the hall. What do you think is imperative for Innovation to have the best chance of success; and what have you found to be the greatest barrier to its success? A lot has been written about nurturing innovation and some of it is pretty good. Rather than putting design or designers on a pedestal, create an environment of design throughout. Find ways to reward design, and reward well. One aspect of providing for innovation seems underrepresented in print – planning for the future by our education system and larger corporations. Innovating in all but the narrowest of product spaces – or idea spaces for that matter – requires multiple skills and people who can integrate and synthesize. We need multidisciplinarians, interdisciplinary teams and top-level designers, coordinators and facilitators. Despite all out talk and interest in synthesis as opposed to analysis – and our interest in holism and out-of-the-box thinking – we’re still praising ultra-specialists and educating too many of them. Some circles use the term tyranny of expertise. It’s probably applicable here. I’ve done a fair amount of work in the world of complex systems – aerospace, nuclear, and pharmaceutical manufacture. In aerospace you cannot design an aircraft by getting a hundred specialists, one expert each in propulsion, hydraulics, flight controls, software, reliability, etc., and putting them in a room for a year. You get an airplane design by combining those people plus some who are generalists that know enough about each of those subsystems and disciplines to integrate them. These generalists aren’t jacks of all trades and masters of none, nor are they mere polymaths; they’re masters of integration, synthesis and facilitation – expert generalists. The need for such a role is very obvious in the case of an airplane, much less obvious in the case of a startup. But modern approaches to product and business model innovation benefit tremendously from people trained in multidisciplinarity. I’m not sure if it’s the greatest barrier, but it seems to me that a significant barrier to almost any activity that combines critical thinking and creativity is to write a cookbook for that activity. We are still bombarded by consultancies, authors and charismatic speakers who capitalize on innovation by trivializing it. There’s a lot of money made by consultancies who reduce innovation to an n-step process or method derived from shallow studies of past success stories. You can get a lot of press by jumping on the erroneous and destructive left-brain/right-brain model. At best, it raises awareness, but the bandwagon is already full. I don’t think lack of interest in innovation is a problem; lack of enduring commitment probably is. Jargon-laden bullet-point lists have taken their toll. For example, it’s hard to even communicate meaningfully about certain tools or approaches to innovation using terms like “design thinking” or “systems thinking” because they’ve been diluted and redefined into meaninglessness. What is your greatest weaknesses? Great minds do not think alike. Cognitive diversity has served us well. That’s not news to those who study innovation; but I think you’ll find this to be a different take on the topic, one that gets at its roots. The two main figures credited with setting the scientific revolution in motion did not agree at all on what the scientific method actually was. It’s not that they differed on the finer points; they disagreed on the most basic aspect of what it meant to do science – though they didn’t yet use that term. At the time of Francis Bacon and Rene Descartes, there were no scientists. There were natural philosophers. This distinction is important for showing just how radical and progressive Descartes and Bacon were. In Discourse on Method, Descartes argued that philosophers, over thousands of years of study, had achieved absolutely nothing. They pursued knowledge, but they had searched in vain. Descartes shared some views with Aristotle, but denied Aristotelian natural philosophy, which had been woven into Christian beliefs about nature. For Aristotle, rocks fell to earth because the natural order is for rocks to be on the earth, not above it – the Christian version of which was that it was God’s plan. In medieval Europe truths about nature were revealed by divinity or authority, not discovered. Descartes and Bacon were both devout Christians, but believed that Aristotelian philosophy of nature had to go. Observing that there is no real body of knowledge that can be claimed by philosophy, Descartes chose to base his approach to the study of nature on mathematics and reason. A mere 400 years after Descartes, we have trouble grasping just how radical this notion was. Descartes believed that the use of reason could give us knowledge of nature, and thus give us control over nature. His approach was innovative, in the broad sense of that term, which I’ll discuss below. Observation and experience, however, in Descartes’ view, could be deceptive. They had to be subdued by pure reason. His approach can be called rationalism. He sensed that we could use rationalism to develop theories – predictive models – with immense power, which would liberate mankind. He was right. Francis Bacon, Descartes slightly older counterpart in the scientific revolution, was a British philosopher and statesman who became attorney general in 1613 under James I. He is now credited with being the father of empiricism, the hands-on, experimental basis for modern science, engineering, and technology. Bacon believed that acquiring knowledge of nature had to be rooted in observation and sensory experience alone. Do experiments and then decide what it means. Infer conclusions from the facts. Bacon argued that we must quiet the mind and apply a humble, mechanistic approach to studying nature and developing theories. Reason biases observation, he said. In this sense, the theory-building models of Bacon and Descartes were almost completely opposite. I’ll return to Bacon after a clarification of terms needed to make a point about him. Innovation has many meanings. Cicero said he regarded it with great suspicion. He saw innovation as the haphazard application of untested methods to important matters. For Cicero, innovators were prone to understating the risks and overstating the potential gains to the public, while the innovators themselves had a more favorable risk/reward quotient. If innovation meant dictatorship for life for Julius Caesar after 500 years of self-governance by the Roman people, Cicero’s position might be understandable. Today, innovation usually applies specifically to big changes in commercial products and services, involving better consumer value, whether by new features, reduced prices, reduced operator skill level, or breaking into a new market. Peter Drucker, Clayton Christensen and the tech press use innovation in roughly this sense. It is closely tied to markets, and is differentiated from invention (which may not have market impact), improvement (may be merely marginal), and discovery. That business-oriented definition of innovation is clear and useful, but it leaves me with no word for what earlier generations meant by innovation. In a broader sense, it seems fair that innovation also applies to what vanishing point perspective brought to art during the renaissance. John Locke, a follower of both Bacon and Descartes, and later Thomas Jefferson and crew, conceived of the radical idea that a nation could govern itself by the application of reason. Discovery, invention and improvement don’t seem to capture the work of Locke and Jefferson either. Innovation seems the best fit. So for discussion purposes, I’ll call this innovation in the broader sense as opposed to the narrower sense, where it’s tied directly to markets. In Bacon’s view, such explanations would stem from a mechanistic approach to investigation; and it must steer clear of four dogmas, which he called idols. Idols of the tribe are the set of ambient cultural prejudices. He cites our tendency to respond more strongly to positive evidence than to negative evidence, even if they are equally present; we leap to conclusions. Idols of the cave are one’s individual preconceptions that must be overcome. Idols of the theater refer to dogmatic academic beliefs and outmoded philosophies; and idols of the marketplace are those prejudices stemming from social interactions, specifically semantic equivocation and terminological disputes. 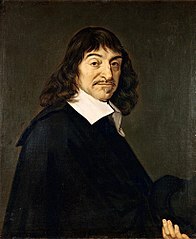 Descartes realized that if you were to strictly follow Bacon’s method of fact collecting, you’d never get anything done. Without reasoning out some initial theoretical model, you could collect unrelated facts forever with little chance of developing a usable theory. Descartes also saw Bacon’s flaw in logic to be fatal. Bacon’s method (pure empiricism) commits the logical sin of affirming the consequent. That is, the hypothesis, if A then B, is not made true by any number of observations of B. This is because C, D or E (and infinitely more letters) might also cause B, in the absence of A. This logical fallacy had been well documented by the ancient Greeks, whom Bacon and Descartes had both studied. Descartes pressed on with rationalism, developing tools like analytic geometry and symbolic logic along the way. Interestingly, both Bacon and Descartes were, from our perspective, rather miserable scientists. Bacon denied Copernicanism, refused to accept Kepler’s conclusion that planet orbits were elliptical, and argued against William Harvey’s conclusion that the heart pumped blood to the brain through a circulatory system. Likewise, by avoiding empiricism, Descartes reached some very wrong conclusions about space, matter, souls and biology, even arguing that non-human animals must be considered machines, not organisms. But their failings were all corrected by time and the approaches to investigation they inaugurated. The tension between their approaches didn’t go unnoticed by their successors. Isaac Newton took a lot from Bacon and a little from Descartes; his rival Gottfried Leibniz took a lot from Descartes and a little from Bacon. Both were wildly successful. Science made the best of it, striving for deductive logic where possible, but accepting the problems of Baconian empiricism. Despite reliance on affirming the consequent, inductive science seems to work rather well, especially if theories remain open to revision. Bacon’s idols seem to be as relevant to the boardroom as they were to the court of James I. Seekers of innovation, whether in the classroom or in the enterprise, might do well to consider the approaches and virtues of Bacon and Descartes, of contrasting and fusing rationalism and observation. Bacon and Descartes envisioned a brighter future through creative problem-solving. They broke the bonds of dogma and showed that a new route forward was possible. Let’s keep moving, with a diversity of perspectives, interpretations, and predictive models.